. Resort fechado no mar situado em Sandcastles. Os serviços de limpeza fornecido 2 x incluindo semanal de lavar louça. Roupa de cama e toalhas limpas ..
Jim the owner was an absolute dream host! So helpful with information and questions. The apartment was very nice with a fully functional kitchen, comfortable bed/s, nice bathroom and even a sweet little balcony. We LOVED Pauline, the housekeeper, she was so kind and helpful and we hired her to us cook a Homemade genuine Jamaican meal for us on our Anniversary! Amazing. Truly lovely place. Thanks for the kind words. Hope to see you again. My husband and I rented this apartment from the end of February to the starting of March 2015,it was just as it was pictured it was clean and well maintained. The owner provided excellent customer care,he gave us many of useful tips on where to eat,shop etc. the apartment is centrally located and the housekeeper Pauline is a added bonus I would recommend this place to anyone who enjoy cozy,quiet hide away. A wonderful, comfortable, and clean apartment. Upon our arrival we were greeted by the housekeeper, Ms. Pauline. She was a friendly, thorough woman who saw to it that we knew where everything in the apartment was located. The apartment was well appointed, comfortable, and quite clean. It was the perfect place for our family. Sandcastles has made a solid effort at improving the grounds, pool, and property. Being past guests at Sandcastles these improvements were well noted and greatly appreciated. The owner of the apartment made sure we were comfortable and that we had all we needed. The bed was very comfortable and the entire apartment was a joy to enjoy for our week in Ocho Rios. I wholeheartedly would recommend this property to not only my family, friends, and co-workers, but also to anyone else looking for all the comforts of home yet on the beach in sunny Ocho Rios Jamaica!! 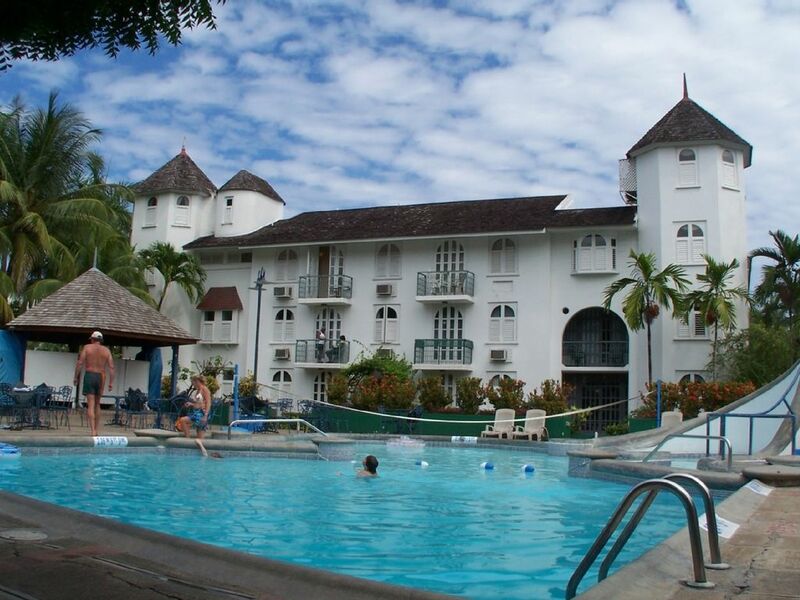 This was a very nice and comfortable condo in Ocho Rios. The condo is in walking distance to town which is a very good thing. The only thing I had a problem with was it rained for the six days I was there non-stop. The condo is clean and modern and has great amenities! I would definitely stay here again. The owner was nice and pleasant. Gotta love that Jamaican sun! We had a great time! The condo was very nice. Very well maintained and very comfortable. Pauline and the other staff took very good care of us. We walked to many shops and restaurants and of course spent some quality time with the sun on the beach. The Ruins was a great place to eat and Evita's was spectacular. We hope to return soon. The owners of the condo are extremely nice and helpful. Thanks! O condomínio está localizado em Sandcastles Resort em Ocho Rios, Jamaica. É no coração de Ocho Rios na Main Street. A única coisa entre o condomínio ea praia é uma passarela seguro e fechado que leva você para o oceano em segundos.
. Eco Tours para a floresta tropical.